1 tree planted in memory of Herbert E. Ostrander, Sr. Celebrating the life of Herbert E. Ostrander, Sr.
Obituary for Herbert E. Ostrander, Sr.
Herbert E. Ostrander, Sr., 76, of Richfield Springs, passed away on Saturday, February 2, 2019 at his home, with his loving family by his side. He was born on October 5, 1942 in Kingston, NY, the son of Elmer and Gertrude (Rion) Ostrander. Herbert attended West Winfield Central Schools and then proudly served in the US Army from 1961-1964. On May 15, 1965, he was united in marriage to Sherry A. Tehan in Waterville, NY and shared a blessed union of 54 years. Herbert was a contractor by trade. He was employed by RF Jones, Remington Arms and owned and operated his own construction business, Herb Ostrander Construction, retiring in 2004. 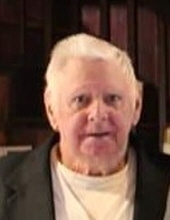 He was an active member of the Waterville American Legion. Herbert was a very loving husband, father, grandfather and great grandfather. He was an avid hunter and fisherman and enjoyed many excursions with his special friends, Mike and Lou and took great pride in teaching his granddaughter, Ally. Surviving are his loving wife, Sherry; daughters, Sharlene (Mike) Guyer and Caroline Ostrander; sisters, Eleanor Bond and Ellyn Kelly; brothers, Elmer Ostrander, Phillip (Maria) Ostrander and William Ostrander; 12 grandchildren, 24 great grandchildren and several nieces and nephews. He was predeceased by a son, Herbert E. Ostrander, Jr.; grandson, Klayton; sister, Carolyn Ludwig and brothers, David and Walter. Herbert’s family would like to extend their gratitude to the staff of hospice and palliative care, St. Elizabeth Medical Center, Herbert’s daughter, Sharlene, grandson, Brett Wheelock and close personal friend Lou Brookman for all their care and compassion. Relatives and friends are invited to call on Thursday from 5-7 pm at Dimbleby Funeral Homes, Inc., 365 West Main St., West Winfield. Funeral services will commence at 7 pm at the conclusion of visitation. Remembrances can be made to Disabled American Veterans. Envelopes will be available at the funeral home. To plant a tree in memory of Herbert E. Ostrander, Sr., please visit our Tribute Store. "Email Address" would like to share the life celebration of Herbert E. Ostrander, Sr.. Click on the "link" to go to share a favorite memory or leave a condolence message for the family.